If you're promoting a newsletter, book or even yourself, a good press release is an essential tool. A well constructed press release can get your name out quickly. 1. A good release should get you exposure on the community calendar or the FYI sidebar in newsprint. 2. It should get you a response by phone or by email. Often the newspaper, radio station or website will contact you for clarification or sometimes an interview. 3. Your release should be ready to print. If you do the work for them, they are more likely to use it in print. They can just plug it in and go. That saves them time and money. You need to keep it brief, but eye catching! Put the WHO, WHAT, WHERE, WHEN in the first paragraph in an exciting and refreshing way. Boring: Kathy Stemke will be reading her book at the Cornelia Library on Thursday, August 4, 2011. Creative way to give the same information: Story telling is a lost art. Children learn about relationships, their community and how things work through stories. Retired teacher and author, Kathy Stemke, showcases her craft Thursday, August 4th at the Cornelia Library. The rest of the release should show why people should attend and why they should be interested in Kathy Stemke. Example: Kathy Stemke has a B.S. from Southern Connecticut State University and Covenant Life Seminary, as well as graduate coursework from New York Institute of Technology and Columbia University. Hanging her hat in the North Georgia mountains, she has been a dancer, choreographer, teacher, tutor, writer and antiques dealer for many years. 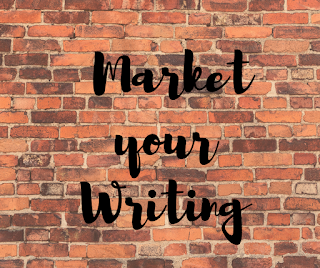 As a freelance writer and ghostwriter, Kathy has published hundreds of articles in directories, websites and magazines. She is a reviewer for Sylvan Dell Publishing. As a retired teacher, Kathy has several activities published with Gryphon House Publishing. Kathy’s first e-book, Moving Through All Seven Days, is now available on Lulu. Trouble on Earth Day, a picture book about recycling and Sh Sh Sh Let the baby Sleep a picture book that deals with sibling relationships and consonant blends are also available. The closing of your press release should be specifically about who the release represents. If it represents the library, you want to give the specific address and phone information so people can contact them with questions. If the release is from Kathy Stemke, she should add a phone number, email address and website address. Keep it to one page! Just remember, if they want more, they will ask for it. Fill the space at the bottom of the page with contact numbers. Edit well and submit a clean copy. A picture is worth a thousand words. Every medium loves photos. If you are submitting a photo please identify everyone in it, left to right, front row, back row. You must have photo releases available. If you submit a photo by email, make sure it is very high resolution. If you submit a snapshot by mail, make sure it is not your one and only copy, because with some newsrooms you will never see it again. Better still, offer the paper a photo opportunity - you with your award, you accepting your award, or you signing your books for your fans. If you have published a new book, suggest a giveaway--a write-in competition with a couple of copies of your book as prizes. Kathy -- really helpful comments to keep in mind when writing a press release, and great list of sites to post it. Thanks for the great post. Kathy, great information! Thanks for sharing. Well done with terrific information.